We offer a few different ways to achieve the smile you have always wanted. These options can be discussed at your initial exam. The American Association of Orthodontist recommends all children get a check-up with an orthodontist no later than age 7. Your child's first appointment may be as simple as monitoring their growth and development over a few years until treatment is recommended. In some cases, minimal treatment is needed to prevent more serious problems from developing which may make treatment at a later age shorter and less complicated. This is the most common form of orthodontic treatment. Treatment involves metal brackets on all your teeth and monthly visits for adjustments. Treatment time varies depending on the severity of your case. Once your treatment is completed, a permanent lingual retainer will be placed on the lower teeth. You will also recieve removable clear retianers for both your upper and lower teeth. Treatment is the same as with traditional metal braces but this option is great in an aesthetic way. It is only offered for the upper teeth and is popular with our adult patients. The Red White & Blue orthodontic system is a three-appliance product that's used to treat just one dental arch (either upper or lower) that are worn all the time. 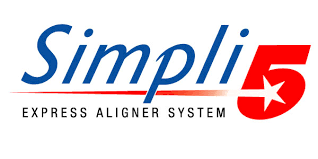 ﻿RWB aligner system offers a solution to those adult dentition patients who are just outside the normal range of other removable tooth aligning appliances, such as Hawley or spring type retainers. RWB is ideal for patients who want the simplest aesthetic system possible to correct minor to intermediate incisal tooth malalignments. ClearCorrect straightens teeth using a series of clear, custom-made, removable aligners that gradually move teeth a little bit at a time. ClearCorrect treatment involves four phases of aligner therapy. Each phase requires a new set of aligners. The time between each phase allows for control and flexibility. ClearCorrect aligners are worn all the time, except when eating and drinking, or while brushing and flossing. Designed with aesthetics in mind, ClearCorrect aligners are barely noticeable and won't have an impact on your daily routine. Invisalign straightens teeth using a series of nearly invisible, removable aligners that are custom-made specifically for your teeth. As you replace each aligner every two weeks, your teeth will move – little by little, week by week, gradually moving towards the projected final position. ﻿Cases typically involve the use of 20 to 30 sets of aligners﻿. For this reason, it can be used to treat a wide range of malocclusions﻿.